When was it snowing on the Gulf of Mexico in December? What was the solar activity in 2009? La Niña is strong and interacts with the jet stream. 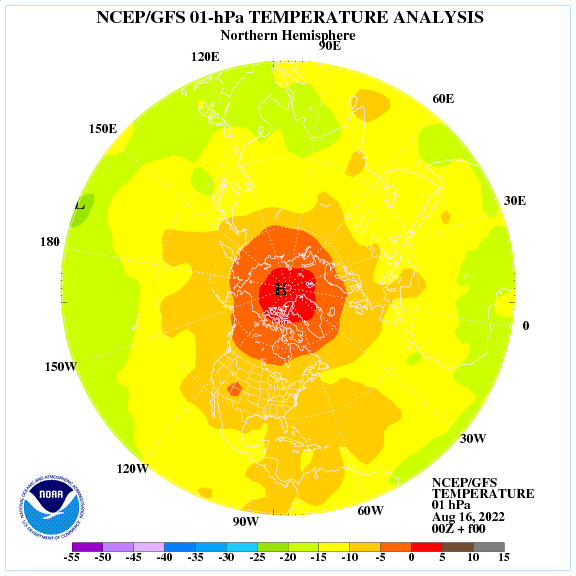 The stratospheric polar vortex pattern indicates a harsh winter in North America. 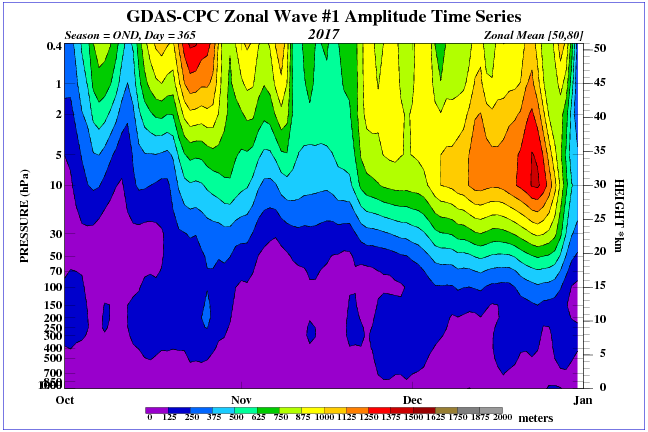 Waves at the top of the stratosphere polar vortex weakens. 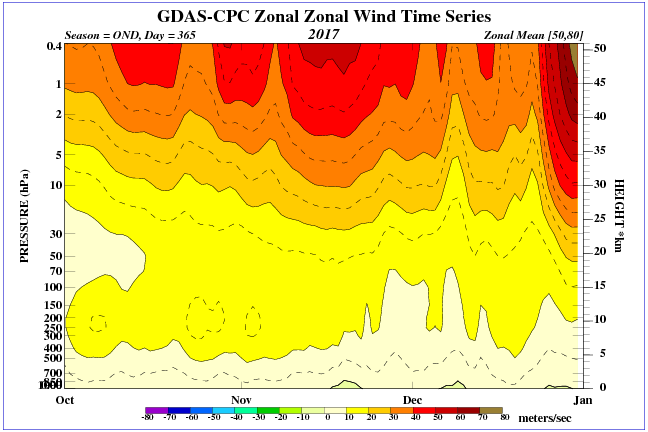 The distribution of ozone at the border of the stratosphere and mesosphere is asymmetrical towards the North Pole. Please pay attention to the temperature on the Gulf of Mexico. Frigid temperatures behind a cold front combined with moisture off the Gulf of Mexico have yielded a rare snowfall in many parts of South and Southeast Texas. Snow continued falling in the Houston area on Friday morning. Will such events become less rare? It would appear that the climate is changing — but not in the direction the IPCC would like. As this change carries on what spin is the church of climatology going to give it? Are they going to pronounce it a judgement on all the unbelievers? No mention of cloud forming ‘cosmic rays’ and the cooling effect of clouds especially over the sea. Now forecasting -12C overnight on Monday for a big chunk of the UK, according to BBC TV. Some personal observations of cloud effect. I spent some ten years of my life working in desert regions. Very boring time so tried learning some astronomy. This meant going out at night to any area nearby free of man made light. Noticed that even when day time temps were 40C plus those night excursions encountered temps of close to freezing. If it turned out to be a cloudy night the temperature didn’t get so cold. Back here in the UK, last summer this was, experienced a calm sunny day with temperature climbing up to the middle 20’s. Come sunset there was a pretty rapid drop to about 3C which, after the daytime warmth, felt damn cold. Anyway, about midnight a cloud bank came over and the temperature started to rise. At night! No, still no wind. The temperature climbed to about 10C when I gave up and went to bed. Have now learnt that this is radiative feed back from the cloud base. No, it is not warming the ground, it is delaying the rate of cooling such that heat deeper in the ground is coming to the surface. Heat capacity of ground is much, much higher than heat capacity of the air. Real world observations show AGW is a fraud. Current solar cycle 24 has already had 3 times more ‘spotless’ days than the average of the previous four cycles.